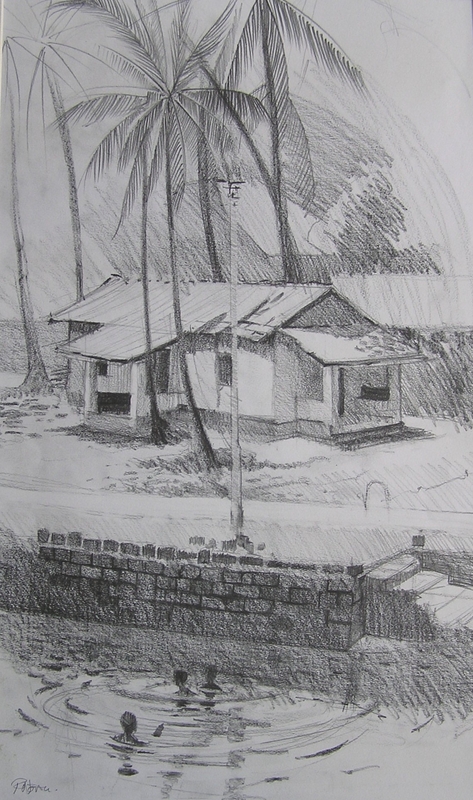 This pencil study depicts a rural Indian scene of children playing in the river in front of their typically Goan home built amidst the coconut groves in the village of Baga. This scene took place in 1996 and has probably changed out of all recognition today as Baga has now been developed into a busy tourist destination. All images shown on this website are protected by copyright and may not be reproduced by any method for any reason without prior written permission from the artist, Roy North. Copyright remains with the artist.